The spirit groups of CCS exist to encourage school spirit and build excitement for our athletic programs. Our cheer squads have excelled at regional and national competitions. Reggie the Lion, The Student Section, and the Royal Pride band add to the fun atmosphere at our athletic competitions. Join us to cheer the Royals to V-I-C-T-O-R-Y! Junior High and High School Varsity Cheer - From cheer training camp in June, to the last tipoff of the basketball season in February, the CCS Cheer Squads demonstrate dedication, spirit and excellence. These energetic cheerleaders are committed to performing to their fullest potential both on and off the field and court. They practice daily to perfect their routines and do their best as they represent Royal athletics. The Student Section - The purpose of The Student Section is to support the athletic teams at Community Christian School by stressing loyalty and by generating crowd enthusiasm. The Student Section is an all-sports organization and will represent the student body at various events throughout the school year. The Student Section represents CCS and should display a positive and courteous manner at all times. 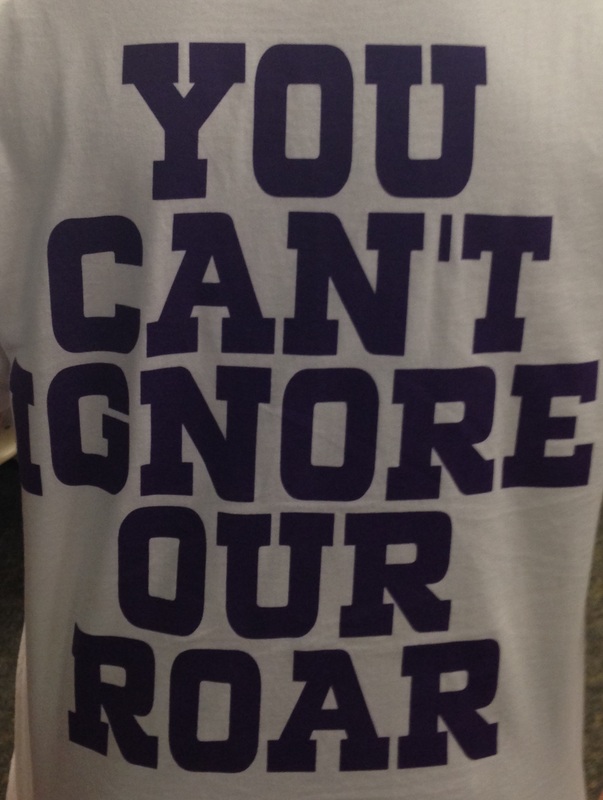 In being a member of The Student Section, a student is asked to pay an entrance fee for a t-shirt and other expenses. Spirit Week - CCS Spirit Week is a highlight of the school year. This annual event is sponsored by the Student Council. Promoting school spirit and fun, it's a great reason to take a break from dress code and share some fun. Click here to print order form for Homecoming Mums by October 8th!